These no bake bunny cookies are an adorably fun treat! What are they good for? they are perfect for grabbing a few minutes to make a little kitchen memory fun with the kids without baking. you can spread out the ingredients at an Easter Egg Party or Easter Egg Hunt and let the kids have fun for creating their own masterpiece. if you’re a busy parent, but you’ve signed up for the classroom party and find that you have no time to bake, these ingredients are easy to grab and pull together without the baking process in the mix. Spread the vanilla frosting on the sugar cookie with a butter or plastic knife. Cut two marshmallows in half width wise so that you have four circles. Place one half marshmallow in the center of the cookie to serve as a bunny tail. 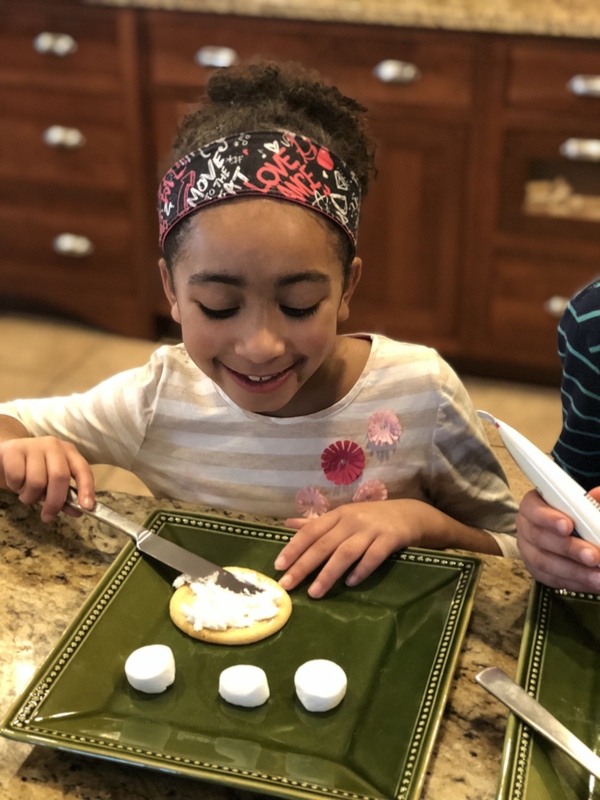 Place two other halves towards the bottom of the cookie like in the picture with three quarters of the marshmallow on the cookie and a quarter hanging off to serve as bunny feet. Decorate the bottom of the bunny feet with three dots for tows & a large circle as the bottom pad of the bunny foot. Looking for a Delicious Buttercream you don’t have to make? You can find vanilla butter cream frosting at the bakery department in your Price Chopper/Market 32 stores. They sell it in pints or quarts depending on the size of your crowd. Pink Frosting: You can purchase a tube of Cake Mate® pink frosting in the baking aisle at your Price Chopper/Market 32 Supermarkets along with screw on tips to make this process easy & fun. Looking for more no bake Easter Yum Fun with built in portion controls? Check out these little mini carrot pots of dirt. 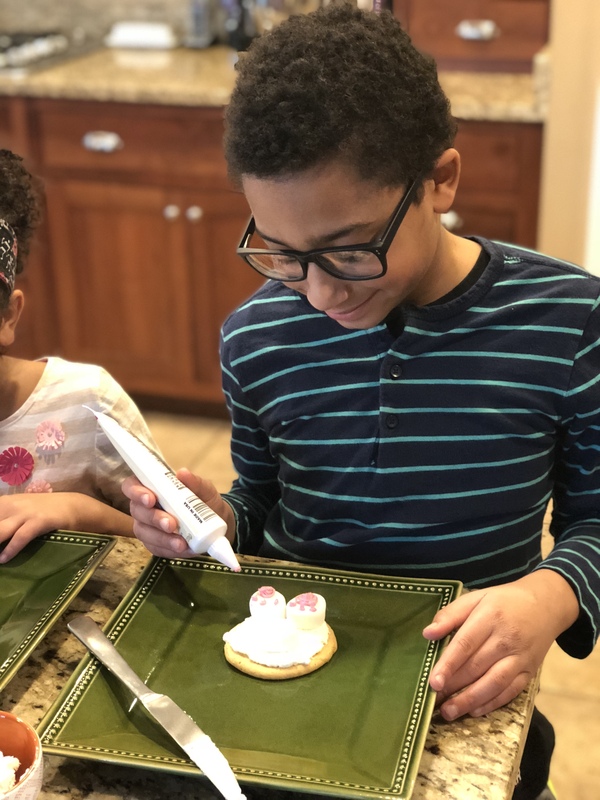 The kids will LOVE helping with dessert making festivities this Easter! Ha! So cute. I made something similar on top of a chocolate cake one Easter! Love the Bunny Bottom cookies, cupcakes & cakes = total cuteness! Kids would love making these! Thanks for sharing with SYC. THANKS Jann – hope you are well!